The appearance of quartzite can decline with exposure to improper cleaning agents, improper application of coatings, or accidental damage. Natural Stone Care’s qualified professionals know how to erase damage and revive the like-new appearance of your quartzite. Quartzite is a stone of choice for people who love the look of marble, but want something less delicate. Quartzite is a strong, dense, hard metamorphic rock. Because of its durability, quartzite’s application possibilities are numerous. Your quartzite floors, walls, countertops, and other services are in the best of hands with Natural Stone Care. From refinishing, honing, and polishing, to stain removal, deep cleaning, and sealing, we can give your quartzite anything from a little pampering to a fantastic makeover. Is your quartzite too dull or too shiny? Some areas more glossy than others? Or maybe you just want a change of pace? We can restore the polished or matte finish you love, even-out an inconsistent finish, or change the finish from polished to honed (matte or satin) or vice versa. Whatever your issue, or your preference, we can deliver a beautifully restored or changed quartzite finish. An uneven finish, dull spots, scratches or other surface damage can diminish the elegant appearance of your quartzite surfaces. Natural Stone Care can hone your quartzite surfaces to eliminate these imperfections, resulting in a new quartzite surface free of damage. We can then polish your quartzite using the appropriate diamonds or polishing powders to restore the finish you want, whether matte, semi-gloss or gloss finish. With our quartzite honing and polishing services, our expert technicians can achieve the exact finish you are looking for. No matter how careful you are, spills can still manage to happen. And sometimes spills become stains. Whether you are seeking guidance on how to remove a stain yourself or want us to take care of it for you, we are experts in removing stains from quartzite. Something to note: please do your research before starting any DIY stain removal process, since certain cleaning solutions may damage your stone or even permanently set the stain. Are you familiar with the adage, “It’s easier to keep something clean than it is to get it that way?” Your quartzite surfaces are no exception. Quartzite is easier to keep clean with periodic professional deep cleaning services, and the proper day-to-day cleaning methods and products. We are happy instruct you in the proper care methods and products that will help keep your quartzite surfaces looking great. Natural Stone Care also provides regularly scheduled maintenance programs, upon request. Once your quartzite floors, showers, tub surrounds, walls, and other quartzite surfaces are cleaned and restored, we highly recommend you have Natural Stone Care seal them to enhance their stain resistance. 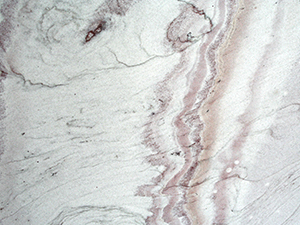 While most stains can be removed, quartzite stain removal can be a time consuming, expensive and often frustrating process. Sealing represents an inexpensive, preventative measure against quartzite stain damage. Do you have chips, holes or cracks in your quartzite surfaces? Before you replace, consider taking advantage of our expert quartzite repair services. Natural Stone Care can fill holes and fix quartzite cracks and chips, blending the repair site with the surrounding area, and honing and polishing it to match the surrounding finish. At Natural Stone Care we can instruct you on the proper care you should use in cleaning your quartzite on a regular basis. We offer a full line of Care Products to assure you are using the proper cleaning product that will help keep your quartzite surfaces looking great. We also provide a regularly scheduled maintenance program, upon request. Sweep or dust mop your floors regularly to remove anything that can get ground into the surface. Use only recommended cleaning products. Chipped quartzite repair requires the knowledge and expertise of a skilled mason. Natural Stone Care professionals are equipped to service your quartzite installations. We also recommend the appropriate care products to keep your stone looking its best. We make it a point to educate our customers on proper stone care. For a free estimate on quartzite polishing, quartzite cleaning and sealing, or other quartzite restoration and refinishing services throughout the Newport Beach, Orange County, CA area, contact us online or call (866) 985-0211 today.